Contributor(s): St. Martin's Griffin (Firm) [publisher.]. Material type: BookPublisher: New York : St. Martin's Griffin, Copyright date: �2013Edition: First edition.Description: 328 pages ; 22 cm.Content type: text Media type: unmediated Carrier type: volumeISBN: 9781250012579; 1250012570; 9781250031211; 1250031214; 1410460827 (L.P.-hc); 9781410460820 (L.P.-hc).Other title: Eleanor and Park.Subject(s): Man-woman relationships -- Juvenile fiction | Dating (Social customs) -- Juvenile fiction | High schools -- Juvenile fiction | Schools -- Juvenile fiction | Teenagers -- Juvenile fiction | Omaha (Neb.) -- History -- 20th century -- Juvenile fiction | Love -- Fiction | Dating (Social customs) -- Fiction | High schools -- Fiction | Schools -- Fiction | Omaha (Neb.) -- History -- 20th century -- Fiction | JUVENILE FICTION / Love & RomanceGenre/Form: Young adult fiction. | Dust jackets (Bindings) -- 2013 | Young adult fiction. | Love stories -- Juvenile.DDC classification: [Fic] Other classification: JUV026000 Online resources: Cover image Awards: Boston Globe/Horn Book Fiction Award Winner, 2013.Summary: "Set over the course of one school year in 1986, this is the story of two star-crossed misfits--smart enough to know that first love almost never lasts, but brave and desperate enough to try"-- Provided by publisher. "Set over the course of one school year in 1986, this is the story of two star-crossed misfits--smart enough to know that first love almost never lasts, but brave and desperate enough to try"-- Provided by publisher. 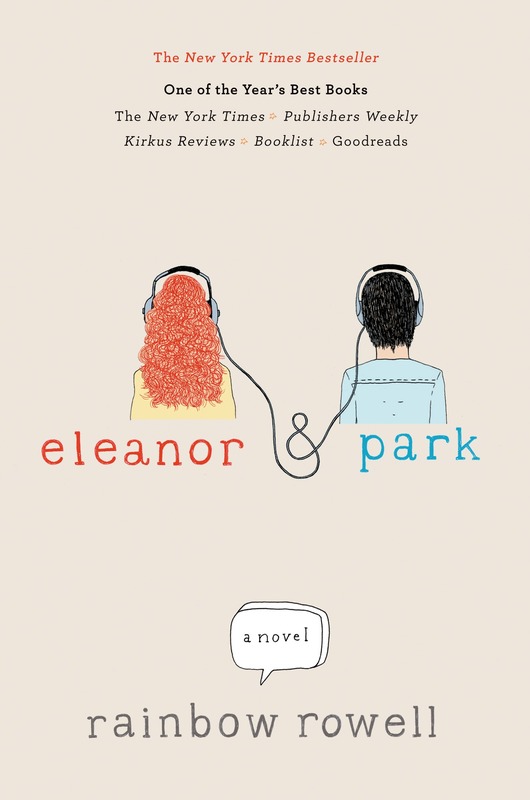 Eleanor & Park by Rowell, Rainbow.